Very pretty floral dress.Great inspiration for a card. 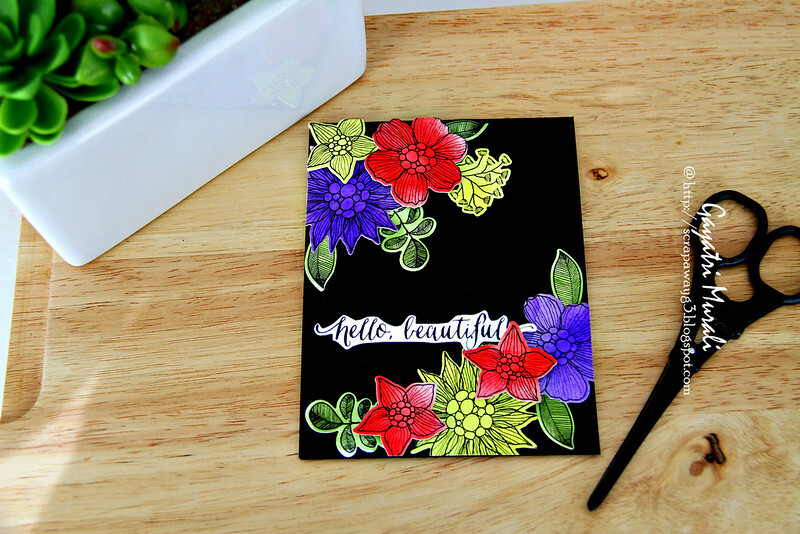 I just took the dress literally to make my card – black background with beautiful and colourful flowers. Here is my take on the challenge. Yesterday, I was making these colourful flowers using the watercolours. And the weather was rainy and cold. I was literally watching the paint dry so I can stamp and die cut. I could have used the heat gun but I had to climb stairs to get to it. It was so cold and I was lazy. I thought I had brought all I wanted to make this card with me when I came down but forgot the heat gun lol! It took a long time to dry but it did. 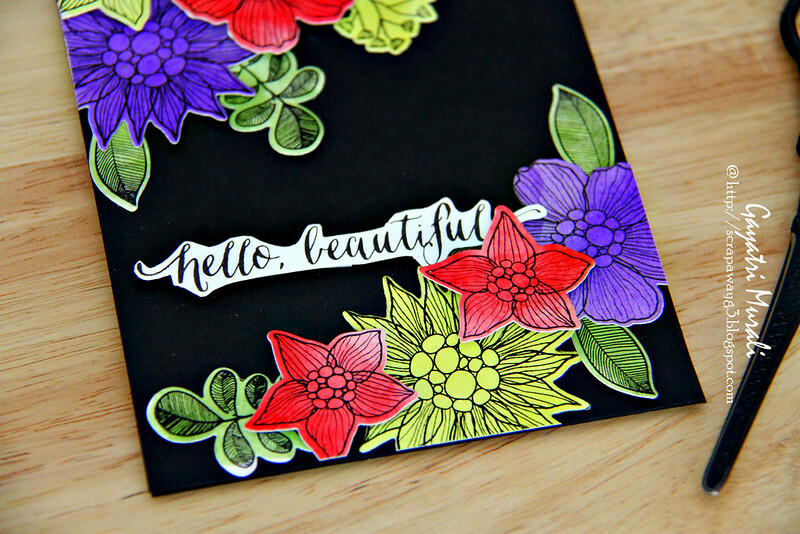 I then stamped and die cut the flowers and leaves from Simon Says Stamp called Summer Garden. 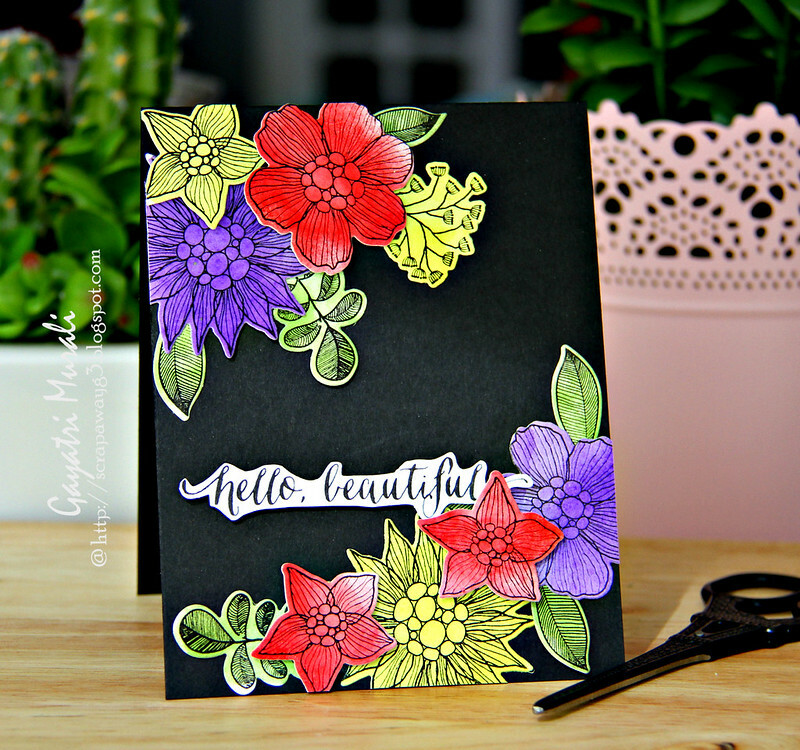 I layered and glued the flowers and leaves on the black card base at diagonally opposite ends. I love how this frames the sentiment. 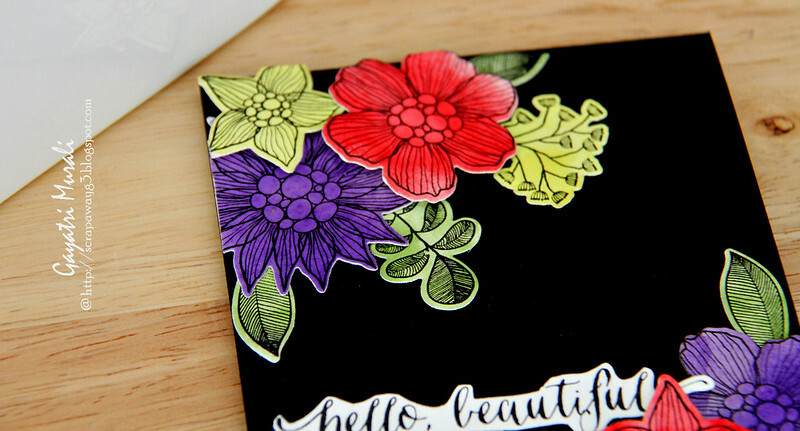 Sentiment is also from the same stamp set which I stamped and hand cut out. 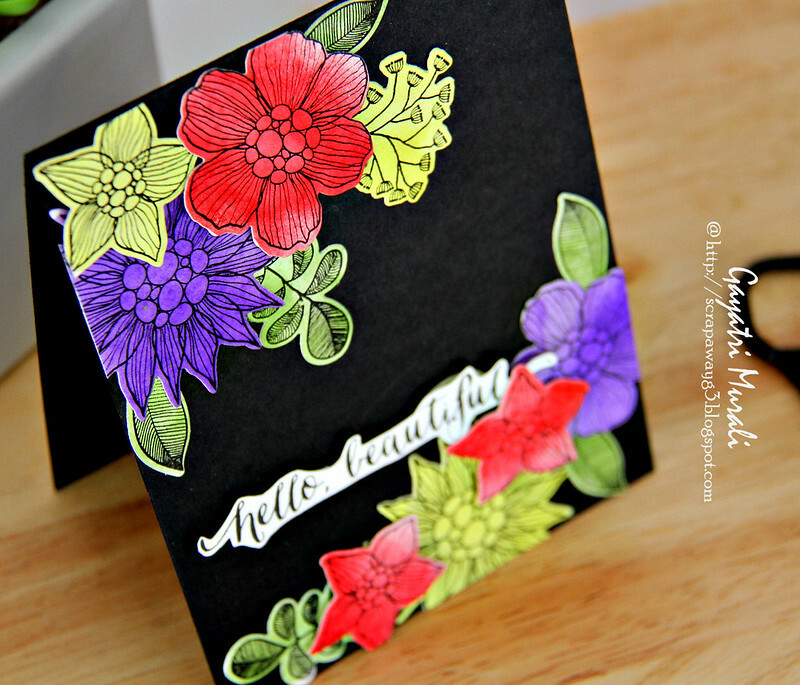 The black background contrasts the colours of the flowers and leaves and makes it pops. Come and play along the challenge. Stunning Gayatri. A very “YOU” card! This just catches your eye. Beautiful. It was worth all of your waiting, beautiful Gayatri!